IMD IPD mind meld: DECO RULES! The portugeese footballer and the form of art! I have to mention how at the beggining of the lecture I was really touched how Mr Carr backtracked to show the furniture slide and how he thought it was clostraphobic. If you read one of my previous post's you'll realised he'd echoed my words. This was flattering because he either looked at my post/got told about my post and responded or that we have the same level of thinking. Considering that the guy has a really good level of thinking (hence almost standing ovation after each lecture) it's flattering that he has the same level of thought. ... The Art Deco lecture clearly showed why I did not like the Art Nouveau lecture. "I am a man of straight lines, I am a stick man"
I found it hard to do research as i could not follow most of Richards sources as i ahve spelt the names worng i.e. anna lassiert....i can't even google her! 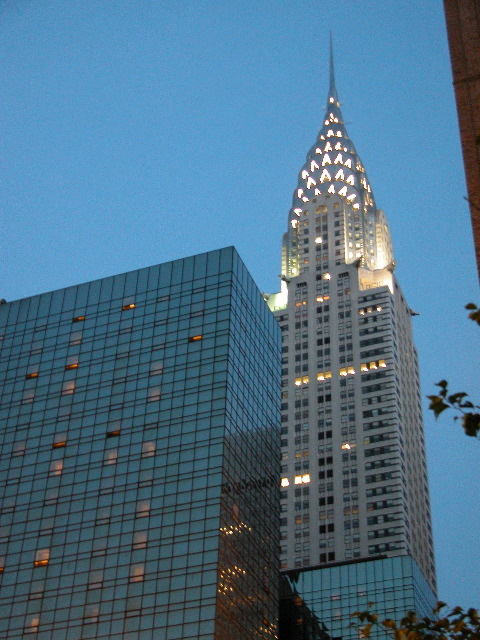 - Architectural: The Chrysler Bulilding is instantly recognisablie because of it's spire. It's in an Art Deco style which suits the building along with the use of it's strong silver stainless steel colour. - Furniture: This is the side of Mackintosh i like. The firniture is absolutely amazing and the switch that he made just shows how he was a major influence in both styles of designs but more so in deco as he made the change unlike some others. I have very little time and hope to do my own blog of research into my choices of design. Imran, Was MacIntosh even part of the Art Deco movement? He died in 1928 and as the movement only really came around after the first world war I doubt he was really involved in the movement but please tell me where you got that pretty clock from so i can find out about him in the Deco movement! Although he did not have alot of time Mackintosh did make a major statement in the movement. The guy was a designer in the first place and if he made a change to deco then everyone knew.